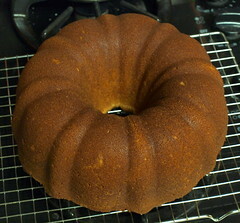 Is there anything better than a well made pound cake? 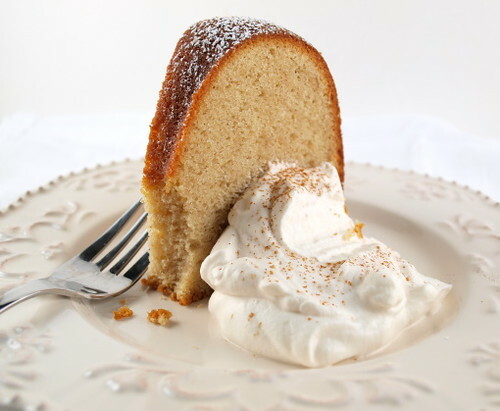 Pound cakes are highly satisfying and wonderfully versatile. I’ve served pound cake for dessert with whipped cream, I’ve served them with fresh berries for breakfast to great acclaim, and nothing beats pound cake for an after work/school snack. Pound cake can also be the base for other desserts, like my favorite holiday treat, trifle! 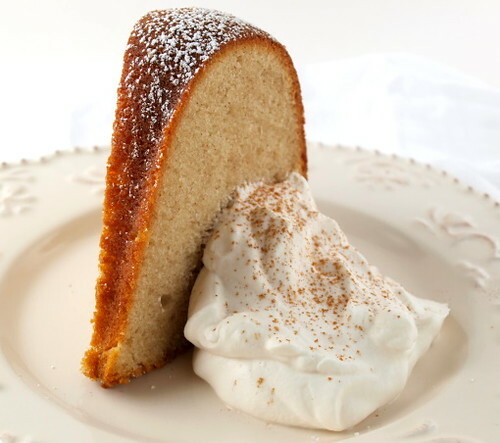 So, with fall supposedly on its way (it was 90F in Dallas again yesterday) I felt a light, tender pound cake flavored with spicy cinnamon was in order. Cream cheese is the miracle ingredient in this cake. 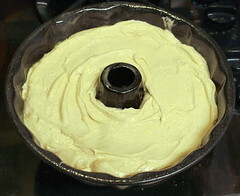 The addition of cream cheese leads to a thick batter that batter holds more air. If you mix this cake properly you end up with a voluminous, but stable, web of air bubbles. 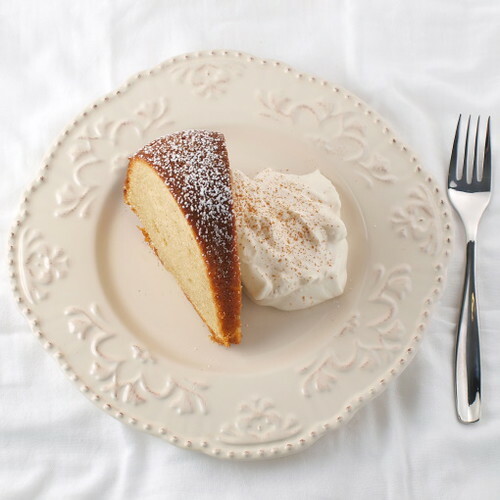 Once baked the texture of this cake is deceptively light while remaining tender and moist. Cinnamon is a prominent flavor in the cake, but I didn’t go overboard. Balance is key, and each bite has a gentle cinnamon warmth and a buttery finish. 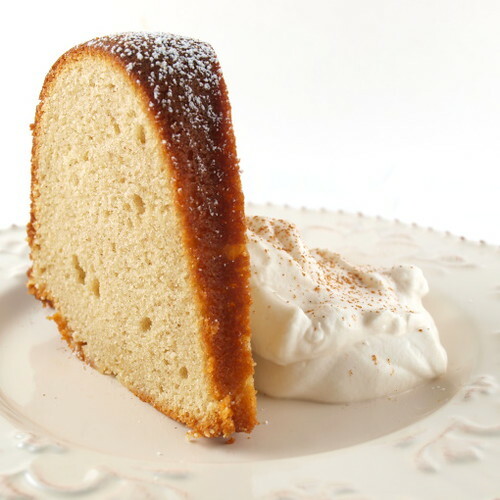 My preferred way to serve this cake is with a dollop of fresh, lightly sweetened whipped cream and a dusting of powdered sugar. 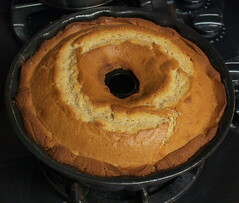 Heat the oven to 325 F and spray a 10 inch bundt or tube pan thoroughly with non-stick spray. 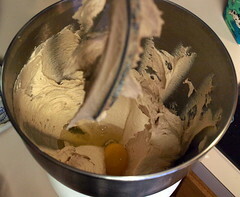 In the bowl of a stand mixer fitted with the paddle attachment cream together the butter and cream cheese on medium speed until completely combined and lighter in color, about five minutes. Add the sugars and cream for another five minutes on medium speed. Add the eggs one at a time, beating well between each addition, about one minute. Add the vanilla and mix to combine. The mixture may look slightly curdled at this stage. 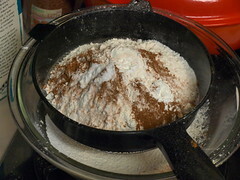 In a medium bowl sift both flours, cinnamon, baking powder, baking soda, and salt. 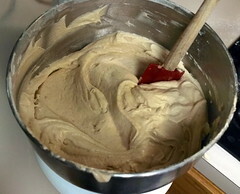 Once sifted whisk to make sure the ingredients are evenly mixed. Add the sifted dry ingredients alternately with the buttermilk, starting and ending with the flour. Do not over-mix. Pour the batter evenly into the prepared pan, tapping the pan lightly on the counter to loosen any large air bubbles and to settle the batter into the pan. Bake for 60 to 70 minutes, or until the cake springs back when gently pressed in the center, and it starts to pull away from the sides of the pan. Cool in the pan for 15 minutes before turning out onto a wire rack to cool completely. Dust with powdered sugar, and serve with whipped cream if desired. Enjoy!